It’s one of the biggest and best meteor showers we get, and it happens every year around August 12th and 13th, but why? 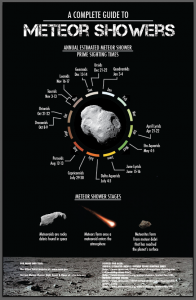 Meteor showers are almost always linked to comets, which are giant balls of ice, rock, space dust, and gasses orbiting the sun. As they approach the sun, they heat up and fracture and always leave a big long trail of debris. And that debris trail is what the earth passes through which gives us a stunning show every single year. And with the Perseids, you can thank comet swift-tuttle. 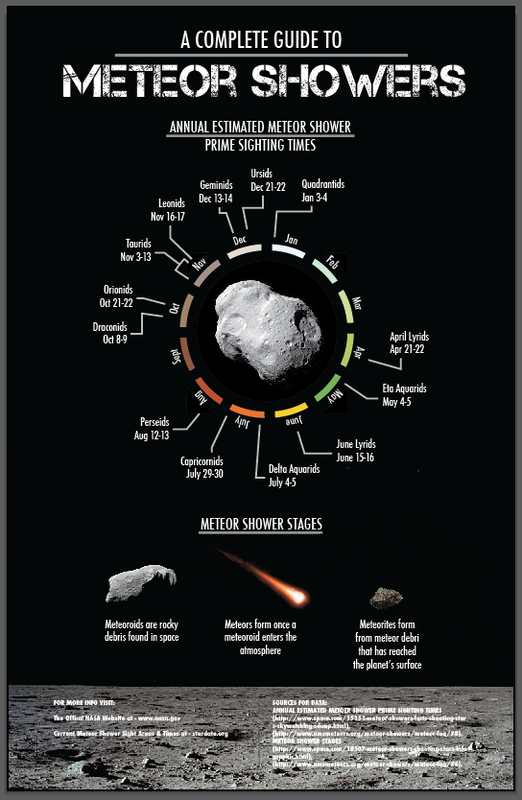 If you’re curious as to when the next meteor shower will be, you can consult this handy dandy graphic put out by NASA! If you have any space questions, or would like anything explained, I’ll do my best to help you! Reach out on Facebook or Twitter, or you can always send me an email: bigginger@thegoatrocks.ca!